A flat underbody meshes with a front spoiler and rear diffuser, letting it slip through the air with minimal resistance. Up front, headlights deflect air away from the side mirrors, further reducing drag while minimizing wind noise and maximizing range. With a battery pack that sits low in the chassis, Nissan LEAF takes on curves with ease and brings fun-to-drive handling that makes corners as enjoyable as the straightaways. Park. Reverse. Drive. All the normal settings are there. But why settle for normal? 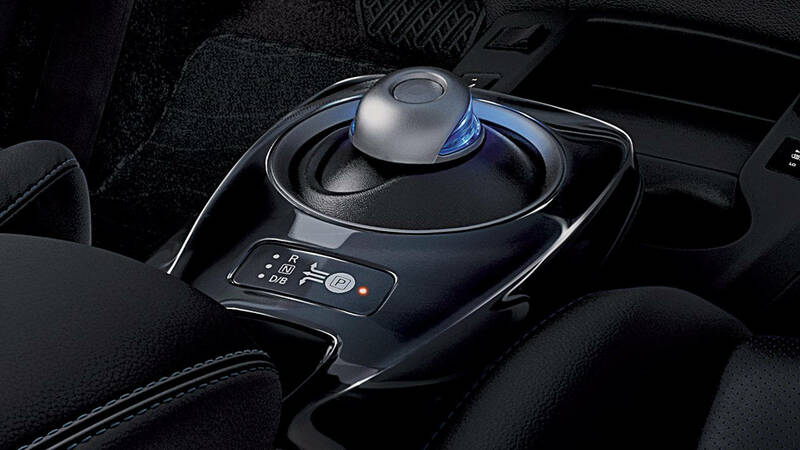 Shift the advanced drive selector into B-Mode to increase the regenerative braking force, and brake response. Whether you’re planning an afternoon of golf or a day at the beach, Nissan LEAF® is ready to fit what you need with 60/40 split rear seats, an impressive amount of cargo space, and a low rear cargo floor. 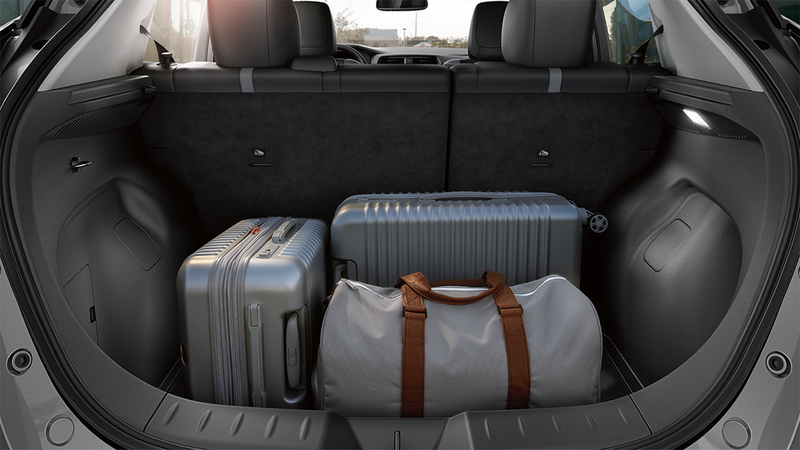 It all adds up to a vehicle that can adapt to your life. Do you hear that? No? Good. Because you shouldn't. Electric motors don't make noise like internal combustion engines. They just perform like them. They don't use traditional transmissions with numerous gears and ratios, either. It's just stop or go. 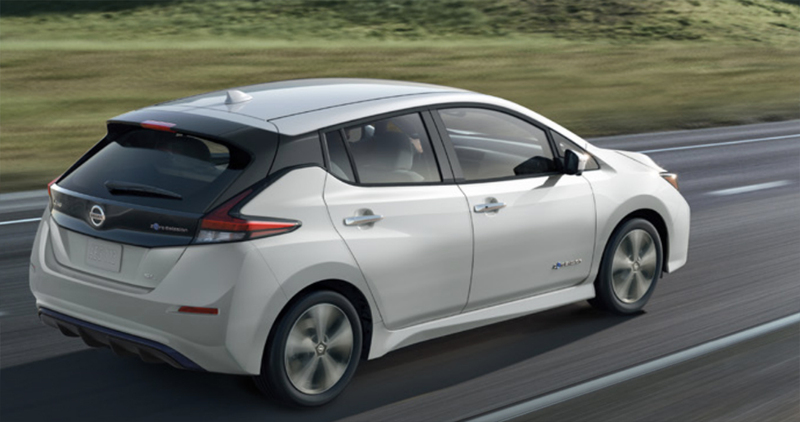 And in the Nissan LEAF®, go means go. Performance you wouldn't get from a V8. 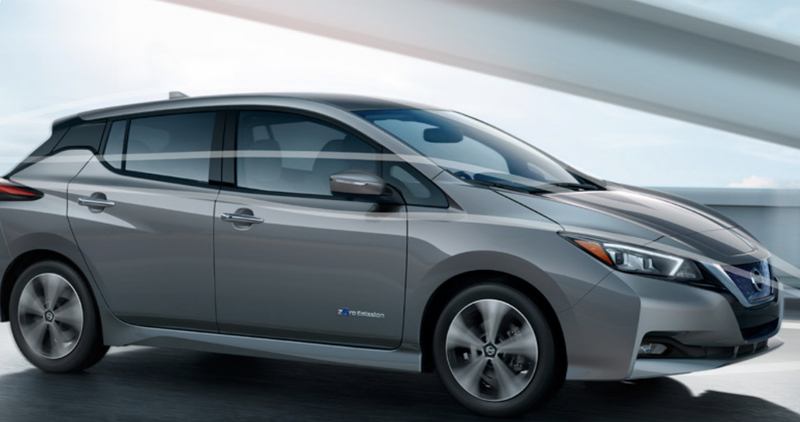 You've never driven anything like the Nissan LEAF, and you've probably never felt anything like its instant torque. The power is there when you touch the pedal. There is no lag, no revving-up or shifting gears – it just goes. Incredibly quiet driving. 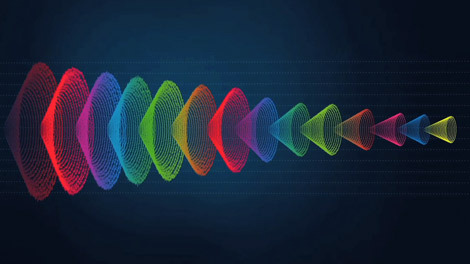 Say goodbye to the vibration and engine noise of every other car you've ever driven. The advanced 80 kW AC synchronous electric motor provides the quietest, smoothest ride you've ever experienced. 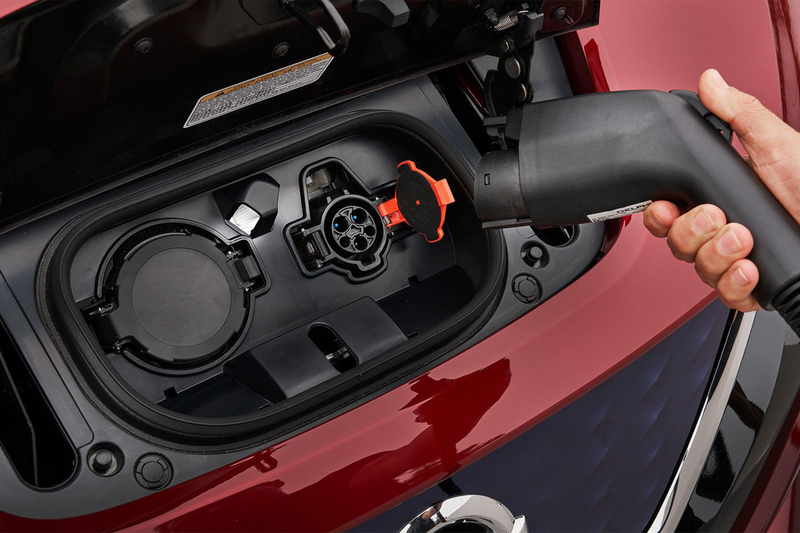 The 100% electric Nissan LEAF motor is powered exclusively by an advanced lithium-ion battery that you can charge at home, or on-the-go. Meanwhile, hybrids have to carry around their electric drivetrains plus their gas engines. Most cars – even hybrids – release tons of CO2 tailpipe emissions every year. The Nissan LEAF doesn't use a single drop of gas. And no gas means no tailpipe, no fumes, and zero emissions. Staying in touch with your world and your LEAF is easier than ever. From a customizable, digital instrument cluster to a “floating” 178 mm (7.0") information screen to seamless mobile integration, it’s all here. There are plenty of tools right on your dashboard to help you get the most out of every charge. You'll always see your battery level, and how many kilometres remain in your driving range. Driving efficiently? You won't have to guess. 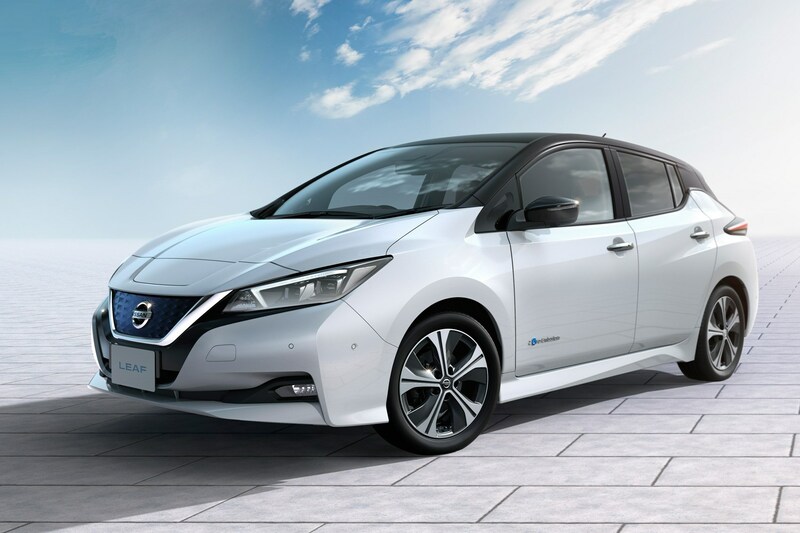 The power meter shows how much power you're using – and generating, thanks to Nissan LEAF's regenerative braking system that captures the energy created while you coast or brake and recycles it back into the power supply. 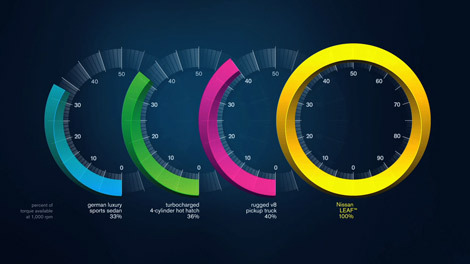 And if you're doing really well, you'll grow a virtual forest on the Eco drive indicator. Google® Search for a local yoga class. Call hands-free to invite friends to dinner. Find the closest charging station on your route. All the while, your hand-picked music and podcasts, SiriusXM® Traffic information, and more are just a swipe or a tap away. NissanConnect makes it all possible, working seamlessly together through your smartphone and Nissan LEAF's high-resolution, 178 mm (7.0") colour touch-screen with tap and swipe control. 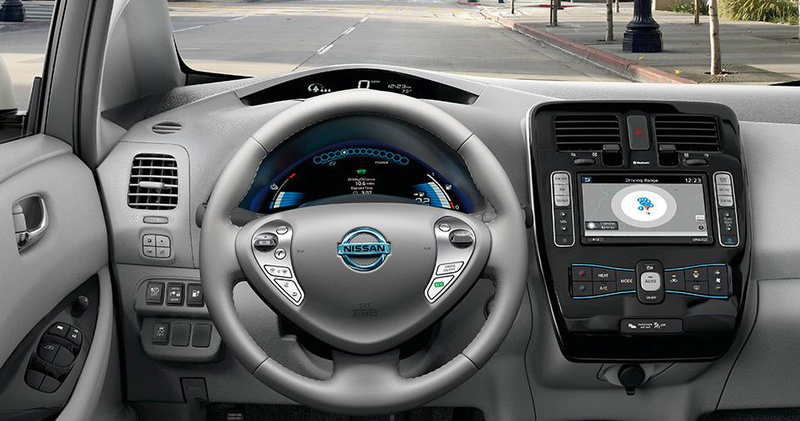 Nissan LEAF also helps keep you in the loop with the Nissan Navigation System (featuring Voice Recognition), hands-free text messaging assistant, Bluetooth® hands-free calling and streaming audio, and an iPod®/USB connection port. You’re only human – it’s nice to have a little backup when something unexpected happens. The new Nissan LEAF offers a suite of available Nissan Intelligent Mobility features that can step in and take action to help keep you out of trouble. 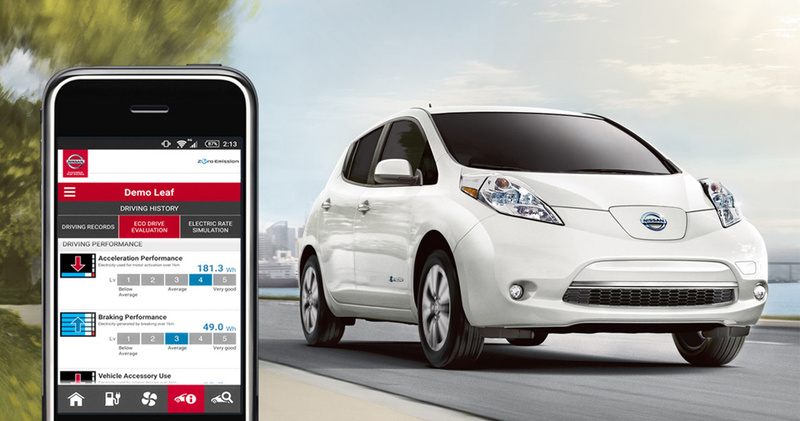 See more around you with a virtual composite 360˚ bird’s-eye view of your Nissan LEAF. With the push of a button, you can select split-screen close-ups of the front, rear, and curbside views. You’ll slide into the tightest spaces and make it look easy, without having to worry about scuffing your wheels. Helps you back out of a space with more confidence. It watches around the rear of your Nissan LEAF, and can warn you about cars it detects creeping up on you from either side. Helps you change lanes with confidence. It keeps an eye on the blind spot area and gives you a heads-up if it detects a vehicle hiding there. Monitors your speed and distance between you and the car ahead, and can let you know if you need to slow down. It can even automatically engage the brakes to help avoid a frontal collision or lessen the severity of an impact. And when it detects a pedestrian in the crosswalk, it can stop you in your tracks. Get Your 2019 Nissan Leaf at Village Nissan.